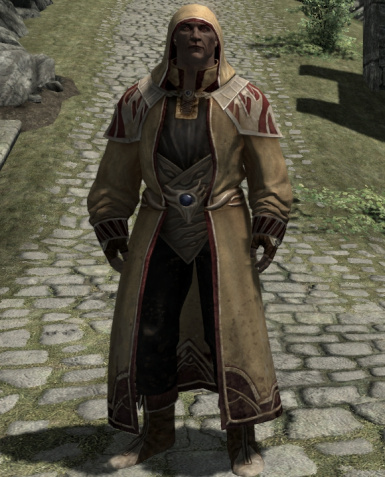 I never really liked the Archmage Outfit, but the Psijic Outfit is kind of awesome. 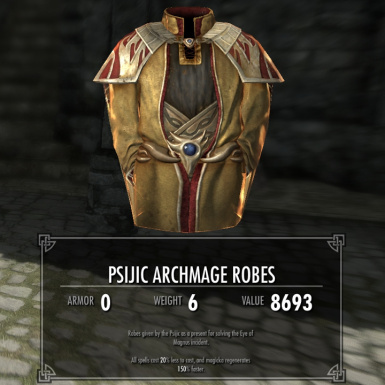 So i made the Psijic Archmage Outfit. 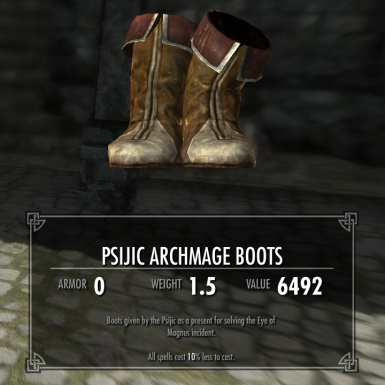 All parts are craftable at any forge in the misc section. I had no save game before i finished it, so i could not test this part, but i intended to make it not craftable until the quest Eye of Magnus is finished. 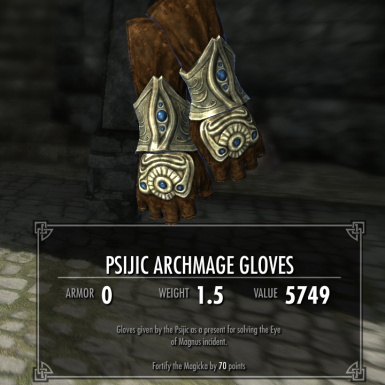 The enchantments are similar to the Archmage Outfit but they are a little bit stronger, but not overpowered (in my eyes), since the Psijics are like the UBER magic guild somehow. 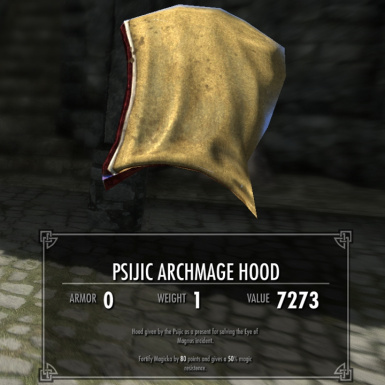 Unfortunately the orc and khajiit hoods have clipping issues. Don´t know how to fix this yet. Maybe someone can test, if it really is NOT craftable before the Eye of Magnus quest is finished. 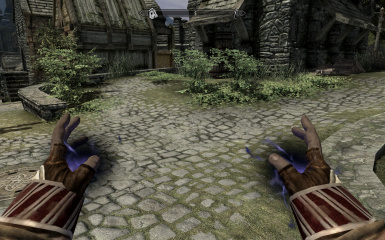 - Thanks to BabattKhan for verifying that the outfit is really not craftable before the Eye of Magnus quest! And overwrite if it is asked.